This is a podcast where Yegor from Shift+M I discuss use of metrics – can it give us full picture, what purpose it serves, how do you handle performance, what you share with the team. It is quite common nowadays to make decisions based on metrics. More and more PMOs and management are tasked to identify key performance indicators (KPIs) that reflect elements a business wants to measure. Decision making is based on what is being measured. This has definite positive sides – measurement is clear, decision making logic is consistent, there is early visibility if projects are derailed. Yet, metrics do not always give you the entire picture. It is very good in stating the actual, but does not indicate what should be measured. The same metric can have different meanings. Consider this … two projects are running 15% under budget. However, one may be a fixed price project where this is a great outcome. You can earn 15% more revenue by deploying those resources elsewhere. The other may be a time and materials project, and suddenly you are faced with a 15% reduction in revenue and need to close another opportunity at a shorter notice that you may not have been anticipating. This is however something you can improve over time, as long as the metrics are scrutinised regularly. Where metrics fall considerably short is in the human domain. In industries where intellectual property is key (i.e., information technology, design etc. ), employee motivation is a key driver of success. Metrics cannot adequately capture if the workforce is getting tired and motivation is running low. No doubt some proxies can be used – contracted hours vs actual, defect correction rate etc. However, those can be misleading too. Staff may be putting in more time because they’re intrigued with bleeding edge technology, or correction rate could be high because requirements were poor rather than motivation being low. Most metrics also do not cater for the difference in capability. For example, a great software developer can be up to 10 times more productive than a good developer, while commanding nowhere near the same difference in salary. Most metrics are developed with a normal distribution in mind, as that is the only way you can calculate something repeatedly. That also leads us to devote more time into trying to improve those that fall below the normal distribution, rather than foster those that can make a real difference – the top performers. So am I suggesting we should bin metrics altogether? Absolutely not. However, we must recognise what a metric can tell us and what it cannot. If we are relying on it to know conclusively if we are doing something wrong, then only time it can tell us so is after the fact, when the horse has long bolted. Metrics still do not excuse managers to get lazy and go into auto pilot. If we have an inkling we’re going in the wrong direction, and our metrics aren’t necessarily showing so, we still need to be able to make decisions and justify our reasons. Power of observation is still valid today as it ever was. 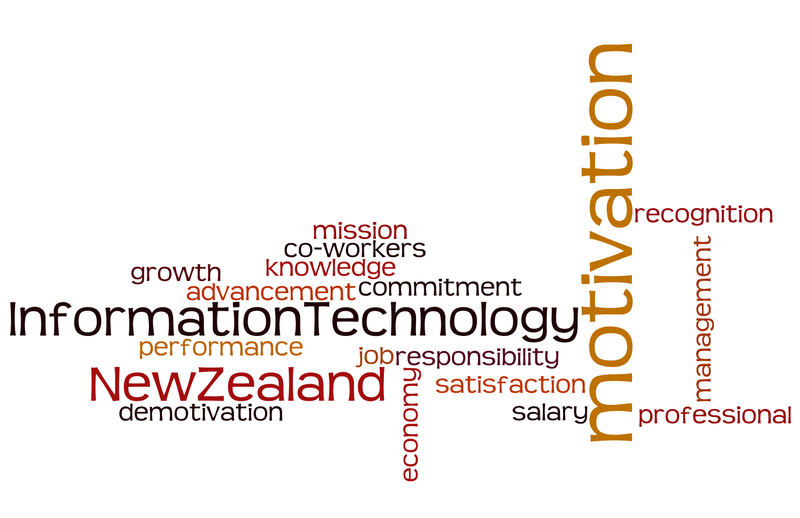 I am currently undertaking research on motivation among IT professionals in New Zealand as part of my MBA. I would welcome your input. Complete the survey and be it to win two $50 vouchers. More than happy to share my findings with anyone that participates. Feel free to pass on the survey to anyone else you think may be interested too. SurveyMonkey Link: Motivation among IT Professionals in New Zealand.